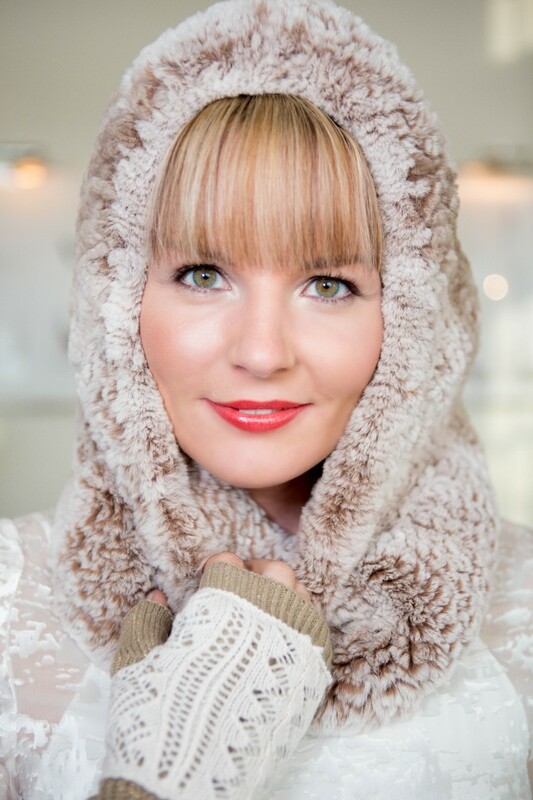 Don’t Hide Under That Hood, WINTERIZE Your Hair! In New England, we winterize everything from our cars to our houses to pretty much everything. We prepare for the worst and hope for the best. The same should go for your hair. As funny as it sounds, your hair can go from healthy to hay in about 4 weeks if you don’t “winterize” those locks. I’m serious! One month of dry, indoor heating and freezing cold conditions outside will strip your scalp and your hair from the healthy moisture it needs to survive. 1. Make sure you have a moisturizing, deep conditioning mask like Happy Campers Conditioning Treatment from Evo Australia (available at La La Luxe). Use it every time you shampoo your hair or when you feel as though your hair is too dry. Saturate the ends, leave on for 5 minutes and rinse. Your hair will thank you. 2. Keep those ends healthy and happy by frequently “micro-trimming”. What’s that you say? A micro-trim targets the ends of your hair only. Trimming a half-inch or less off of your hair every 4-6 weeks doesn’t disrupt any growing-out plans and doesn’t really shorten the hair noticeably or change the shape. It just prevents the ends from splitting or breaking. It’s the perfect cure for dry, winter hair and it keeps your haircut fresh much longer than if you waited 8 or more weeks. 3. Book a blowout. A weekly blowout. I can’t tell you how amazing this is during the colder months. Trying to stretch your shampooing from every day to once weekly will do wonders for your hair. A professional blowout involves cleansing the hair thoroughly and setting the hair in place so that it lasts much longer than doing it yourself at home. Ask anyone who has their hair done 1-2 times a week by a professional and they will tell you how amazing it is. You don’t have to worry about it for a week! Perfect for the holidays and a perfect pick-me-up! 4. Book a conditioning treatment at your next appointment. For about $15 at La La Luxe, you get a moisturizing treatment that can be a miraculous thing for your locks. The treatment lasts about 2 weeks and the more you do them, the more your hair improves over time. 5. Although we don’t sell coconut oil at the salon…we all have it in our bathrooms at home. Used on the hair as a treatment or as a smoother on your ends, coconut oil is a game-changer. Saturate the ends and sleep with it in your hair…shampoo out the next morning and you will notice a major improvement in dryness. Dab a little on freshly blowdried hair and your hair will absorb what it needs…a little goes a long way. If you need advice on how to use coconut oil, definitely give us a call…we have a lot of tricks and ways to use it. You can purchase it at any market. 6. Static and frizz make a frequent appearance in the winter, so use products that say “frizz control” or “smoothing”. Love Perpetua Shine Drops from Evo (also available at La La Luxe) are perfect to smooth over dry hair after styling or whenever you notice your hair looking like it’s a Mr. Wizard experiment, exploding with static electricity. You can also blowdry your hair with the drops or leave in and scrunch your curly hair with it. No matter what your texture is, it works! https://lalaluxesalon.com/wp-content/uploads/2016/09/logoNEW-1-300x144.png 0 0 lalaluxe https://lalaluxesalon.com/wp-content/uploads/2016/09/logoNEW-1-300x144.png lalaluxe2015-10-27 10:25:442015-10-27 10:25:44Don't Hide Under That Hood, WINTERIZE Your Hair!